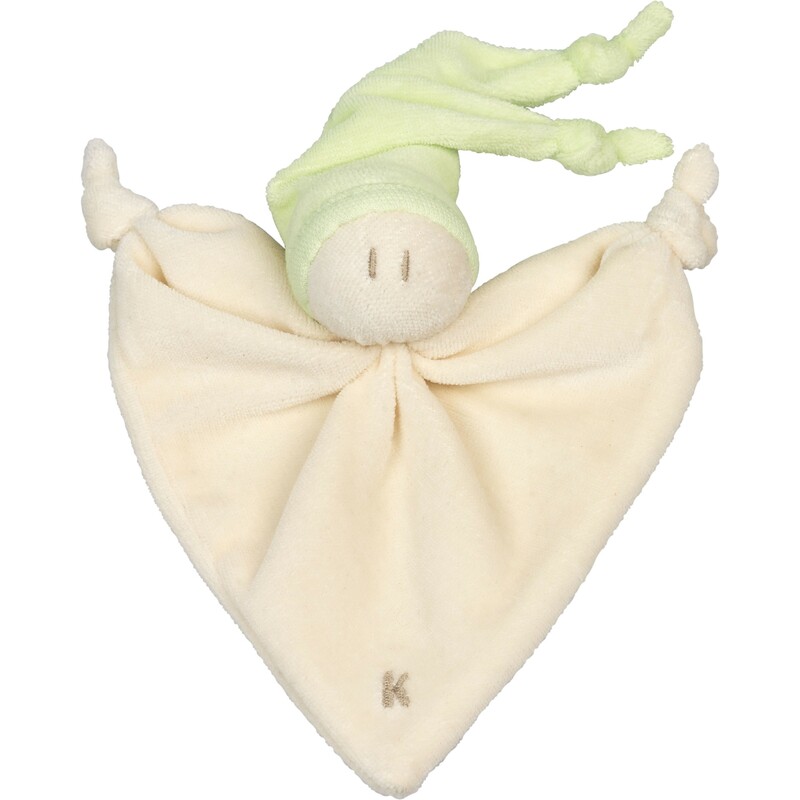 This lovely soft comforter features a little character with a lime green, double-knotted hat and a plush fabric body with knots for hands. Little hands will love to grasp this organic toy and roll the knots between tiny fingers. This Zmooz comforter is is made with 80% organic velour cotton, 20% polyester and stuffed with pure new wool. It has been designed in the Netherlands and ethically produced in Lithuania. It is 17cm long, machine-washable and suitable from birth. Keptin Jr take cuddles seriously. Young children take comfort from these wonderful soft toys. The familiar feel and smell helps them to settle and children often become attached for many years. Keptin Jr use natural and organic materials to produce the very best comforters and cuddles for your child. Simple designs allow your child to use their imagination and create their own characters.